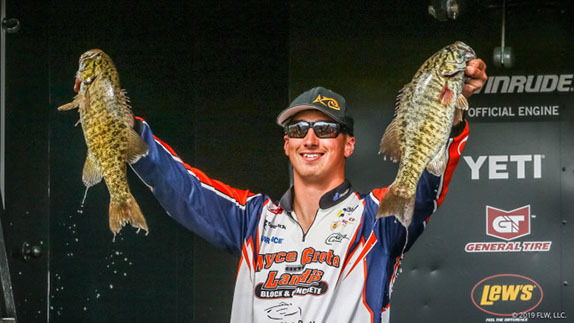 Last week, we discussed the clean slate being offered with the formation of a completely new concept in professional bass fishing and how it may offer us � tournament anglers, fans and fun-fishers � the opportunity to be better conservationists. Earlier in the same piece, I alluded to the possibility of correcting the imperfections in our current model. Today, I�d like to explain further and, possibly grab someone�s ear. Often when writing this column each week, I ponder who may be at the other end, reading my ramblings. Occasionally, I take myself seriously enough to think that I may make a difference in the sport. True, I�ve observed a few key changes within the tournament organizations thanks to hot topics originally discussed here, but really, I just try to present multiple sides to a story. I�d like to think that, by doing so, I create discussions on issues that we should all bother to discuss. Today is no exception. Let�s assume, for a moment, that things are going as planned with the Ball Pro Tour and the end product will look very much like the current Major League Fishing model. 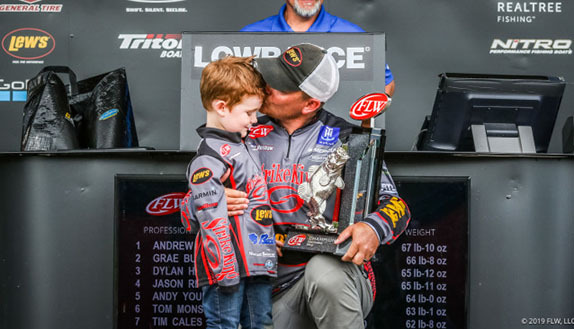 Let�s also assume that all the hype, and promised media attention, will lead to unheard-of exposure for tournament bass fishing in America�s living rooms. If that�s the case, we will, indeed, have the opportunity to introduce the sport to a large audience and potentially see increased interest among casual anglers. In other words, more people may want to give tournament-style bass fishing a shot. Maybe, just maybe, we should recognize this unique opportunity and actually make it possible! By that, I refer to the fact that organized, tournament bass fishing, in its current form, is nearly impossible for the average American to attempt. You see, according to the popular television shows, magazines and Internet sites, in order to fish bass tournaments, an angler must own a $70,000 boat that runs 70 miles per hour, featuring four large depthfinders, twin shallow-water anchors, a $3,000 trolling motor and a speaker box that talks to fish. 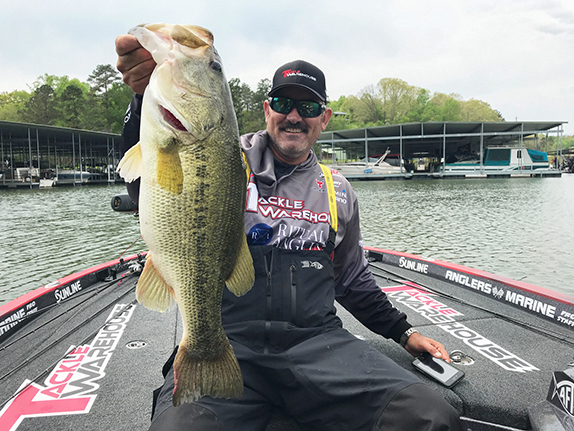 But yet, when I reflect on my favorite MLF episodes of the past, I can�t recall any angler graphing ledges for hours on end or crediting their win to a hundred-mile run through harrowing seas. You see, one of the best aspects of the MLF model � and I can�t overstate this enough to those who may actually have a say in the new formatting � is the simplicity of the competition. A handful of guys with no previous knowledge, or technological trickery. Cast vs. cast; mano-y-mano. Viewers go away with new respect for their favorite pros and watch as the best in the biz use their skillsets to separate themselves from the pack. Heck, just this last season, I loved watching Takahiro work his mastery with a lipless crankbait. And, in the end, my hero Greg Hackney won the tournament �- not Greg Hackney�s depthfinder! Anyway, I view this as a potential golden opportunity to put things back on track. For starters, and forgive me for saying this, but why in the world have we accepted 250-horsepower outboards as commonplace on bass rigs? It should be noted that the current MLF product utilizes 150-hp engines on 19-foot boats and features three people in each rig, counting the camera man. Yet, when all the competitors are running the same product, there�s no handicap. Again, considering the fashionable topic of bringing new anglers to the sport, wouldn�t it be a whole lot easier to sell them an outboard for $12,000 rather than $20,000? I wonder how we�ll see that play out. Additional equipment and options should be similar, with featured pros utilizing the same equipment as most of bass fishing America. Heck, let�s take it one step further and have all the competition boats be identical, basic-rigged units just like they�re offered on the Bass Pro Shops sales floor. I mean, that�s the message the boss wants to sell, right? From here, we must discuss the intended direction of professional fishing, as I feel this definition has been a primary source of problems. Just what is the proposed message? A spectator sport, or one in which fans can participate? Because they�re quite different. A spectator sport � NASCAR, for example � is one in which the fan base idolizes its celebrity athletes, but has no intention of ever attempting to compete. Just because I watch NASCAR doesn�t mean I�m shopping race cars and fire suits. On the other hand, a participant sport is one the fans follow, but also engage in. Golf is probably the leading example in the U.S. I�d wager that a very high percentage of people tuning in to the golf match on Sunday probably own a set of clubs and will likely purchase other golfing equipment � shoes, balls, greens fees � very soon. The professional fishing model seems to get these two concepts confused and remains undecided as to its current direction. If the intention really is to introduce more people to the sport � specifically those who will participate and purchase fishing equipment � we may need to get down off the high horse we�ve propped the pros up on. It will be interesting to see if the newest member of the professional fishing community succumbs to the pressures and builds its product from the same mold, or if it chooses a new path in the name of progress. Because, you see, they�ll only get one chance.